A group of US lawmakers is calling on President Barack Obama to take action in the wake of the recent fire in Bangladesh to ensure that clothing imported into the US - particularly products for the military - is made in factories that protect their workforce. A letter sent to the President yesterday (12 December) follows news that Tazreen Fashion - where a fire claimed the lives of at least 111 workers on 24 November - was making apparel bearing US Marine Corps logos for a US Government contractor. The lawmakers, led by Senator Tom Harkin (D-IA), wrote: "It is unacceptable for products made for members of our military or bearing the symbols of our armed forces, and sold at base exchanges around the world, to be sub-contracted out to factories that do not have the most minimal worker protections. "We urge you to use all the tools at your disposal to ensure that the federal government does not pursue or continue contracts or licensing agreements with prime contractors, sub-contractors, or licensees that fail to guarantee basic and fundamental rights for their workers." The US Marine Corps has ended its licensing agreement with MJ Soffe, a subsidiary of Delta Apparel, which is said to have placed an order with the Tazreen factory for apparel bearing Marine Corps logos, according to the letter. 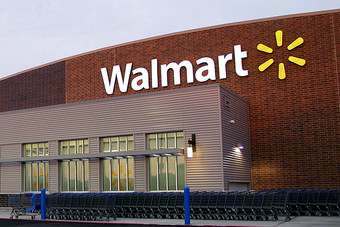 Wal-Mart, C&A, Li & Fung, and Piazza Italia have all been confirmed as buyers from the factory. And labour rights group the Clean Clothes Campaign has added that labels and documentation found at the facility identify other customers as rapper Sean Comb's Enyce label, Edinburgh Woollen Mill, Teddy Smith, Ace, Dickies, Fashion Basics, Infinity Woman, Karl Rieker GMBH & Co, and True Desire (Sears). 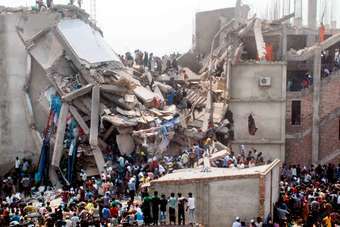 The US Ambassador to Bangladesh has already warned apparel buyers and manufacturers that a return to "business as usual" after the factory fire "could seriously jeopardise the future of Bangladesh's ready-made garment industry." Dan Mozena called on the industry to ensure that the fire at the Tazreen Fashion factory ushers in "a new era in Bangladesh of improved workplace safety, better working conditions, a stronger voice for labour, and stronger cooperation among owners, government and workers." Comment: What's the best way to raise standards in Bangladesh?